Four rappers, each with a mic, and a beat laid down. Each guy gets a shot; each one bringing their best bars (hip hop term for a verse). The crowd awaits. Who will show up? Who has the skill, wit, and delivery to win the crowd? That was the scene on a recent episode of “Rap Fix Live” on MTV. Three of the four rappers did almost the exact same thing—they used their bars to brag on their money-making skills, their prowess with the ladies, how tough they are, how they manage to sell drugs, and how much people should respect them. Uhhh…..lame. Utterly boring. First, we’ve heard it all before. Second, stop lying because you haven’t done half of the stuff you are saying. But that’s what the world sees as hip hop. That’s the overwhelming message and the dominant themes of 98% of what you’ll hear in hip hop today. Turn on the radio, I dare you. You will get in-your-face bragging, objectification of women, out of control materialism, violence, etc. That’s what is being served up and three of the four rappers on this show did just about the same stuff. But what about that one other guy? “Doggin out them shorties like ya cool? stop it! He will not be mocked, don’t you remember Sodom, man? Back up and gimme two feet like an ottoman. Andy comes in and challenges their perception of manhood and their views of women. Andy comes in and calls for a higher view and respect…not towards himself, but towards God. And he brings to the forefront the eternality of God and His reign. Uhh…say what?? The old sesame street question: “which one of these things is not like the other?” Yeah, that question doesn’t even need to be asked. Andy’s message was a blazing inferno of something different. I think God was there. Now God sees all and knows all anyways, but I believe Andy wasn’t alone. As he proclaimed the truth, as he brought the glorious Light into an environment of darkness, I think God was with him. Andy crushed it. And the cool part is this….Andy’s just one of many. 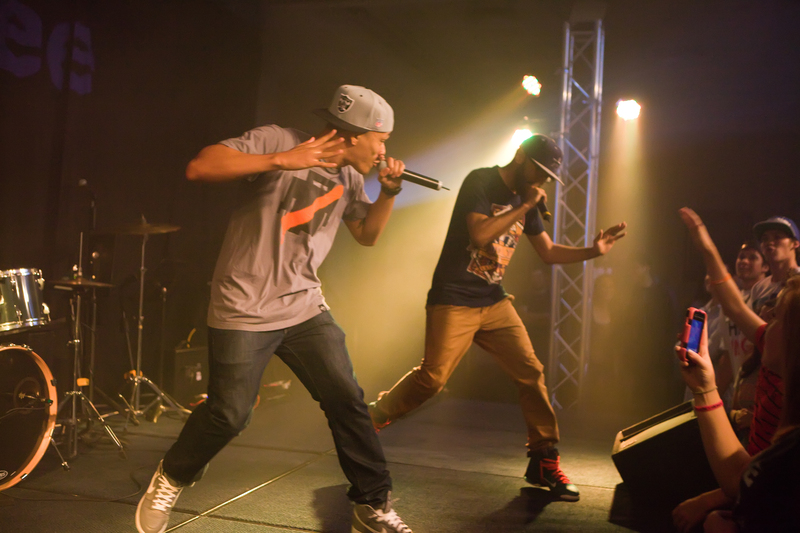 The Reach Records label that Andy is with was founded in part by another rapper and Christian named Lecrae. Lecrae is widely seen as the front man for this proliferation of “holy hip hop” that has started to impact the rap game. Just this past year, Lecrae even won a grammy. 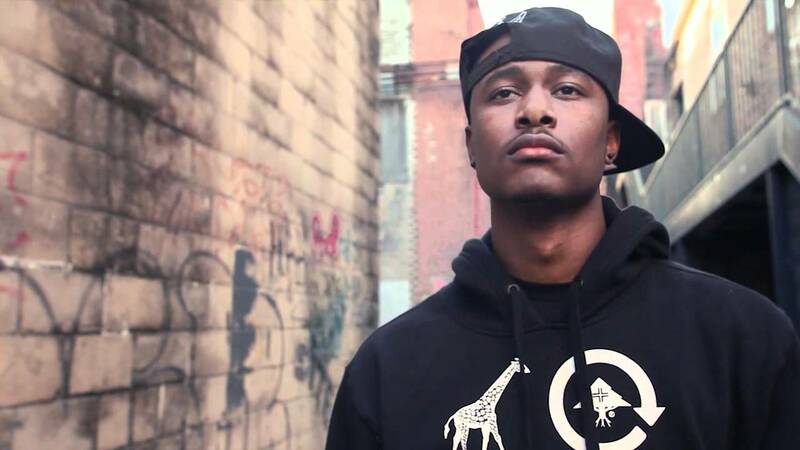 Lecrae and his team at Reach and many other rappers who are Christian (Sho Bakara, Amp, the guys of W.L.A.K., R-Swift, Flame, etc) have begun to revolutionize a genre of art that, with few exceptions, has sorely lacked in morality, decency, and even humanity. And their revolution is not about simply stopping violence or pointing out the folly of materialism. There are plenty who satirize rappers or imitate and wink knowingly toward the audience (Lonely Island, Macklemore, etc) as if they are in on a joke. No, what these guys are doing is bringing the Gospel of Jesus Christ in word and in power. They’ve taken what MANY (Christian and non-Christian alike) would never see as compatible (hip hop and a real Gospel message) and produced an explosive mixture. Like dynamite, you might ask? And that would be absolutely correct. The word for “power” (literally, dynamo) in that verse is the same word we get our word “dynamite” from! Paul is saying that the Gospel of Christ is an explosive and POWERFUL force. The Gospel has the power to drastically and forever change lives. It’s like good dynamite for the soul. The fuse has been lit and the explosions are happening in the genre of hip hop now. No turning back. So can God use hip hop to reach people? Would He want too? I think the answer is an overwhelming “YES” to both. There’s a famous passage in Acts 17 where Paul addresses the thinkers and philosophers in Athens. And the way he does it is to come into their culture and use their language (even quoting their own poems to them) to preach the Gospel. He speaks intelligently about what they believe because he has studied and knows their culture. He is able to present the message in a way that is accessible to them (what we would call contextualization). In a basic sense, Paul is being a smart missionary. He doesn’t expect them to know all the Christian-ese language or to come to the church. Paul GOES to where they are and SPEAKS in a way that makes sense to them. This is what is happening in the rap game. Intelligent, hard-working, AND SKILLED (more on this in a minute) Christians are going into a dark culture and bringing the Gospel in a way people can recognize and grasp. They utilize the beats, they turn the common rap-ideas on their head. They even sample their songs in some cases. These dudes are being good missionaries. They know the culture, they engage it, and they bring the Gospel in a real way to the people that need it. One God known for the three, John Stockton…. He affirms “Jesus is God,” humans (rappers with giant ego’s and god-complex included) are NOT Him. John Stockton = Hall of Fame NBA player who could shoot the “three” pointer. Now here’s where you really see the skill shine. This next little phrase has a TRIPLE meaning. 1st meaning–Cannon, like the old school weapon that brings a powerful shot. KB is saying, he ain’t bringing a knife to a gun fight…he is packing a cannon. But what kind? 2nd meaning–Canon, like the company that makes cameras. So KB is also shooting pictures (aka, painting pictures for the listener) of his worldview. Here’s what he sees, here’s what he knows to be true. But what is true? 3rd meaning–Canon, like the entirety of Scripture. Aka, the Bible! KB is shooting not with a man-made cannon…but with the Word of God. Do you get the picture? It’s Scripture. That is lyrical depth, doctrine, and intelligence you will not find on any rap record. If Fifty Cent reads that, he is gonna realize the cost of inflation. And Jay-Z says he has 99 problems…well, one might be catching up to this kind of clever word play. If Drake could grasp this, he would realize nothing was ever the same, truly. Guys like KB can straight up twist and they do it with the truth of the Gospel, not the prevalent lies most rappers bring. Lecrae and the crew are hitting the mic with skill. This matters. So what about us? What about your normal Christian living out their life? Where does this leave us? The call is the same for each of us. Go and tell. Go, take the Gospel out. Unleash the dynamite. Watch what God will do. Just like Paul or any good missionary, we go out to those who have not heard. Like Lecrae and others, we KNOW the cultures we are reaching, we speak the language, we contextualize the message. We don’t water anything down. But with intelligence and skill, and with God guiding us, we light the fuse and wait to see lives changed by the power of the Gospel of Christ. Your three friends at work/school aren’t Christian? They talk about cheap thrills and worldly things that don’t last? Grab the mic like Andy and bring the Light of Jesus into the conversation. Set it off. You already have the ammo. In hip hop, it is common to refer to a verse as “bars” (as noted above) or even as a “sixteen” (a group of bars). This is a tie-in with ammunition and the violence that goes with the culture of hip hop (as in, sixteen bullets in the clip). So they aren’t just saying words…they are firing off bullets with their sixteen. Trip is saying “I will use this verse (this sixteen) to brag on Jesus and share the Gospel,” which happens to be Romans 1:16 like we discussed above. A sixteen used to speak on the truth of the One Sixteen. See that word-play happening again? He takes the traditional meaning and infuses it the Gospel. With that clever word-play and skill, he is firing shots of real truth about Jesus to anyone who listens. This is the mission and the method. Will you take the shots you are given? Will you take seriously the Gospel mission? Are you willing to stand out and be different in a room full of people who don’t believe, just like Andy was? Are you willing to take advantage of the ‘sixteens’ you are given and brag on our Lord? Yes, it probably won’t be with a mic, but you can still bring the Gospel with boldness and clarity just the same. Some quick observations and suggestions to close. Challenge(myself included): Take a moment and really assess how you are engaging the cultures around you. God has placed you in specific places and times for a reason; that reason is to make Him famous. Are you doing the good work of a missionary? Studying the culture? Going out to them? Making the Gospel understandable? If you haven’t been engaged and active, perhaps the best step is to deepen your enjoyment of God (as opposed to looking for more techniques or tips about sharing with others). What you enjoy, naturally you will praise and speak of. If you deeply enjoy God, the natural overflow will be a more active engagement with others. Pursue Him and His presence, dwell on the Word…seek a revival of your passion with Him. If you know the love of God and if your heart burns for Him, you will be using the ‘sixteens’ He places in your life. For Christians: If you’ve never given this type of music a chance or if you never knew that genre of music EXISTED—-I dare you to listen and examine what they are saying. The amount of theology and truth they can pack in one song will dwarf what you might hear in an entire day of listening to “Contemporary Christian Radio,” but alas….that’s a whole other blog. Point is, these artists are boldly proclaiming the good news of Jesus and applying to ALL areas of life. You will hear songs address topics and issues you’ve never heard addressed before. Give it a chance. For non-Christians: I dare you to listen as well. The skill and production is equal to or greater than most big name cats in the rap scene. See what you think when the message is radically different than the same non-sense you hear continually in other music genres. If you need artist or song recommendations to get you started, just let me know. Here is the link to Andy’s performance on Rap Fix Live. NOTE–Andy goes 2nd. And, as mentioned above, the other performers have content/lyrics that you may feel is objectionable. As well, you can find new stuff from Andy (Neverland EP) out now on iTunes. As always, thanks for reading. Your thoughts and comments are welcomed. 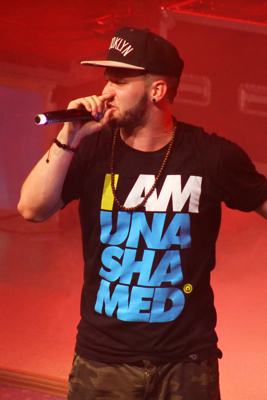 This entry was posted on January 27, 2014 by Josh Humbert in Blogroll and tagged Andy Mineo, culture, hip hop, KB, Lecrae, MTV, Rap Fix Live, Reach Records, Trip Lee.